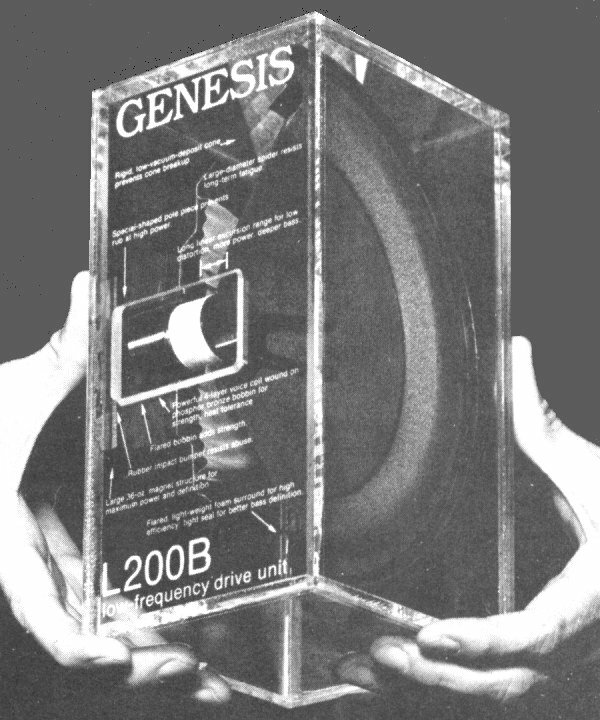 This is a photograph of the promotional plexiglass-encased cutaway of the Genesis L200B 8" woofer. These used complete voice coils, and so, amazingly, they were functional! They were given to Genesis dealers "back in the day."